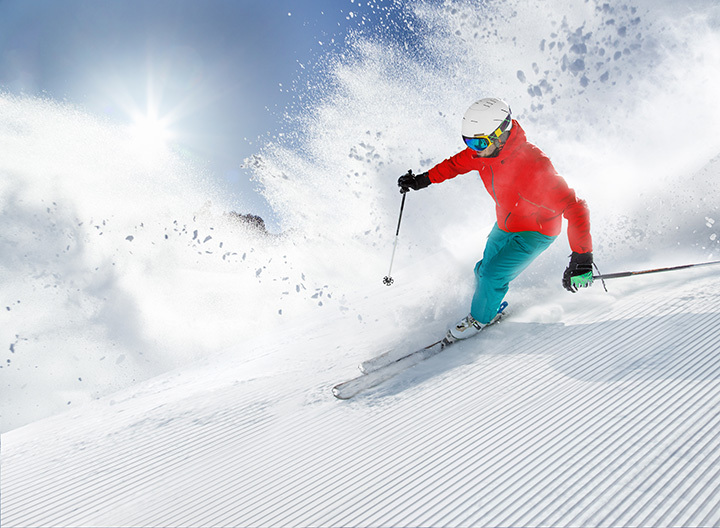 Black Mountain Ski Resort is a family affordable ski area that focuses on providing fun for the entire family. Their Alpine Ski and Snowboarding area has a 1380-foot vertical drop and is lit top-to-bottom for night skiing. The combined Upper and Lower Androscoggin Trails make up a fabulous, "solid blue" intermediate run and is almost a mile long. In all, there are 35 trails, including 5 glades. The mountain is served by two chair lifts and has over 90% snowmaking coverage. Black Mountain's Terrain Park features a wide variety of hits and rails. The novice area's "green" trails and the "Moose Run" beginner area are great places to learn and play. Our varied and challenging trails, along with breathtaking views make Black Mountain Ski Resort fun to ski and explore the ï¬rst time, and every time, you visit.